I never thought I would thank God for a hurricane, but I'm going to have to thank the Lord for Hurricane Isaac. 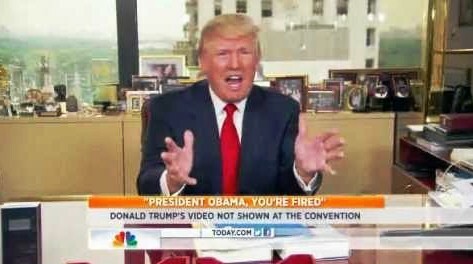 It was because of Hurricane Isaac we weren't forced to watch the video of media whore, Donald Trump, supposedly firing an actor that was portraying President Obama. The RNC had to scrapped the video because of the cancellation of the first day of the convention.